We provide career advising for more than 10,000 undergraduate and graduate students pursuing majors within the College of Engineering as well as students pursuing engineering majors in the College of Earth and Mineral Sciences. We also help connect students and employers at a wide variety of career events each academic year. 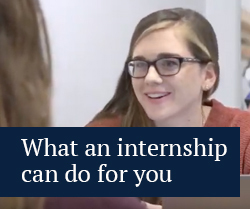 Nittany Lion Careers is a free online resource that helps connect Penn State students with co-op, internship, and entry-level full-time positions. If you are a currently-enrolled student, you can log in using your Penn State ID and password. Career Envoys are students at both the undergraduate and graduate levels who have completed at least one co-op or internship experience and who help promote programs supported by both our office and the College of Engineering. They provide walk-in advising hours for engineering students and can answer questions about résumés, cover letters, interviews, and professionalism at work. The Employment Survey provides us with important information about your internship or co-op. Complete the survey if you've accepted an offer to complete a fall, spring, or summer internship or co-op (whether or not you want to receive credit for the experience). If you are receiving ENGR 195, 295, 395, 495, or 595 credit for your internship or co-op experience, submit your assignments for grading. Wondering how much the average student makes during an internship or co-op experience? Or how much recent graduates in different majors are offered for entry-level full-time positions?